Whether you’re cooking on a gas, propane, or charcoal grill, open flames are dangerous and it’s important to keep the BBQ monitored at all times. 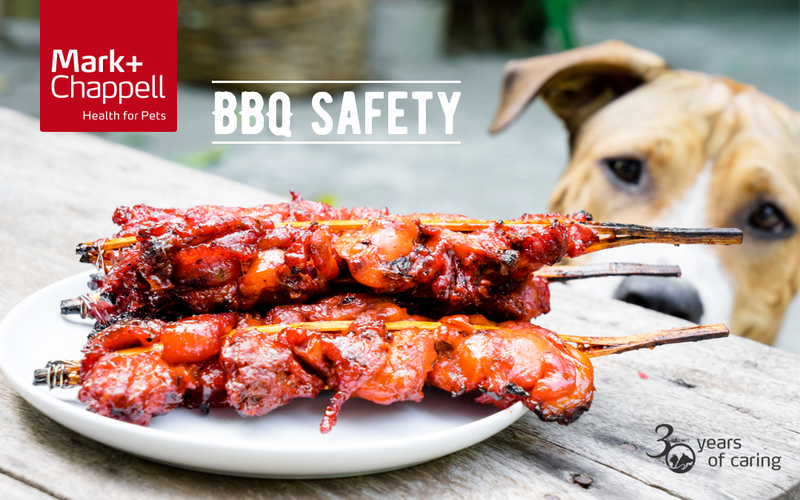 Pets and humans alike can sustain injuries when grills are left unattended. Dogs can eat meat, including barbecue favorites such as hot dogs and burgers. However, take note that even “safe” meat should be eaten in moderation. Remind guests not to feed scraps to the dogs. Barbeque scraps can upset your pet’s stomach whilst undercooked or fatty foods could give them a nasty dose of diarrhea. Try giving them a healthy chew to chomp on or a fun toy to play with instead. Onions are highly toxic to cats and dogs so make sure you let your guests know not to feed the pets any in advance. Store any lighter fluid or firelighters well out of reach of pets. Have a covered container to collect bones from chicken, ribs, and other meats. Dispose of corn on the cob cores and any skewers in a secure bin with a lid. Keep any alcoholic drinks out of temptation’s way for thirsty pets. Always make sure the barbeque is cooled down quickly once you’ve finished cooking and never leave pets on their own around it while it’s still hot. Dogs can quickly overheat in the sun. Make sure they have plenty of water and somewhere they can go to be the shade. Having a house full of strangers might be a bit stressful for your pet, give them plenty of opportunity to relax in peace. 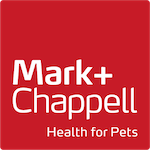 Set up a calm, quite room in your house where pets can retreat to if they feel stressed out. Don’t forget about the smaller pets that live in the garden. Rabbits and guinea pigs might be frightened by the noise of a big group of people. Try and keep guests away from their run or move their enclosure into a quieter part of the garden.